We proudly present our new software version: InLoox 9! The new version comes with a whole new look for InLoox Web App, a sleeker interface of InLoox for Outlook, and new and improved features for both platforms. InLoox 9 offers more reliability, more flexibility, more speed, and a simplified, more intuitive interface that makes for better planning. 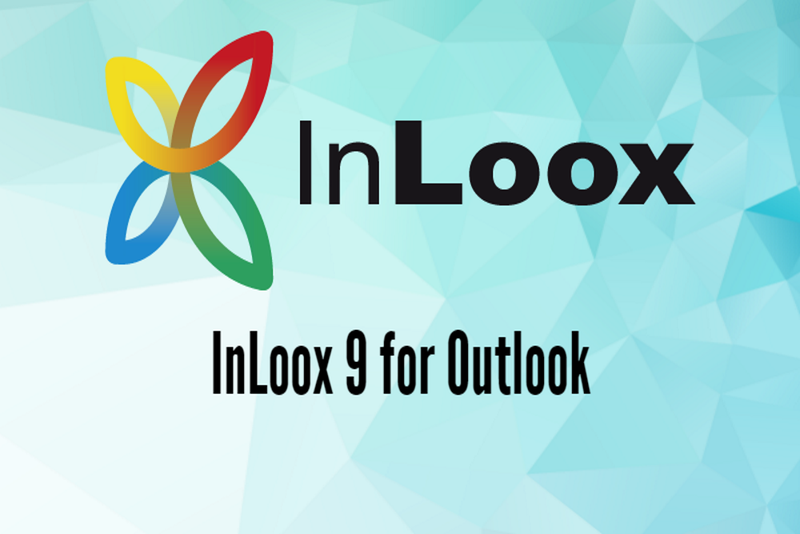 First things first, even though some things have changed, like our logo, one thing stays the same: InLoox 9 is fully compatible with Microsoft Outlook. You can work with InLoox for Outlook alone, but you can also use it in combination with InLoox Web App. We know that projects can get very complex, very quickly, so you need a project management software that’s easy to use. This is why using InLoox 9 is more intuitive than ever before, starting with the installation process – 2 clicks and you can start planning your first project. After the installation, you’ll immediately see that the ribbon is more intuitive as well, displaying the most important features at a glance. 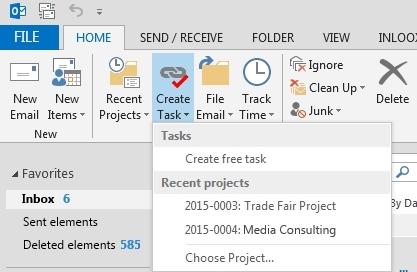 For example, transform Outlook elements, such as emails or calendar events, into InLoox project tasks with just one click. 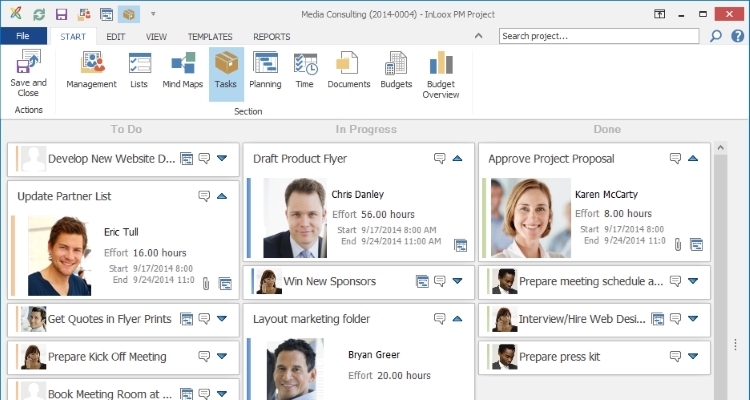 You can now create personal, project-independent tasks, as well as project tasks for you and your whole project team. It’s easy to assign tasks and the Kanban board allows every team member and stakeholder to see who has to do what and when. If you’re working on an international project with a geographically dispersed team working in different time zones, you won’t have to convert the time anymore when setting deadlines – InLoox does that for you by recognizing the time zone setting of your device and adjusting the dates automatically. In order for you to implement your projects successfully, everything has to go according to plan. Which is why our team of developers has worked tirelessly to slim down the user interface of the Gantt chart planning view. 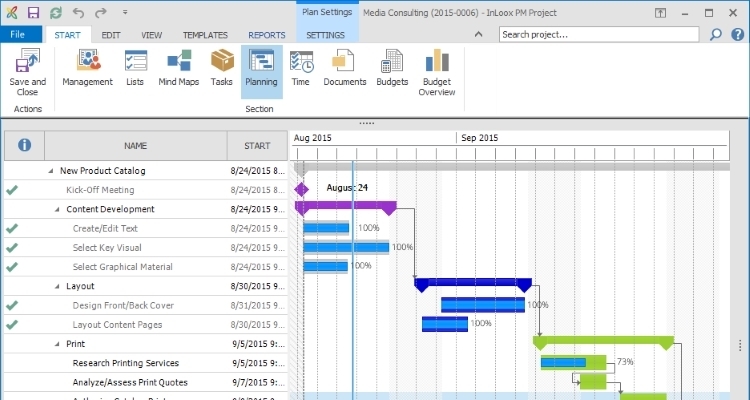 This will give you a better overview over your project plan. 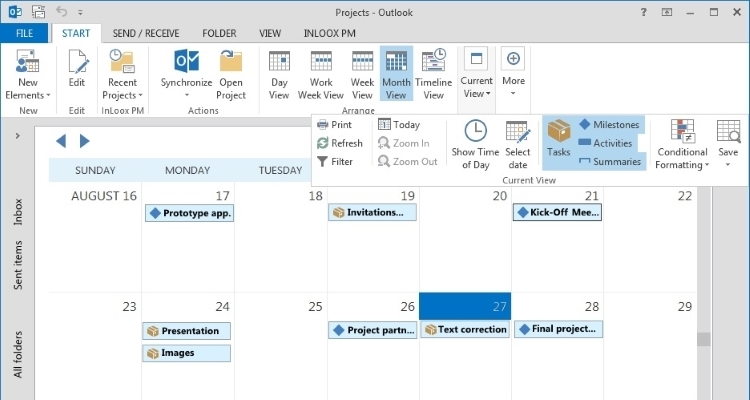 The global calendar will also provide a concise overview, showing you activities, milestones, and tasks across projects in one unified calendar view. Read more about the new features of InLoox 9 here. Want to take a look yourself? Get your free InLoox now! trial here. Or contact our sales team for a free live webinar. Introducing InLoox 9: Better Collaboration, Better Planning - InLoox • Copyright 1999-2019 © InLoox, Inc. All rights reserved.